Fayetteville city council moves closer to removing embattled member Tyrone Williams. 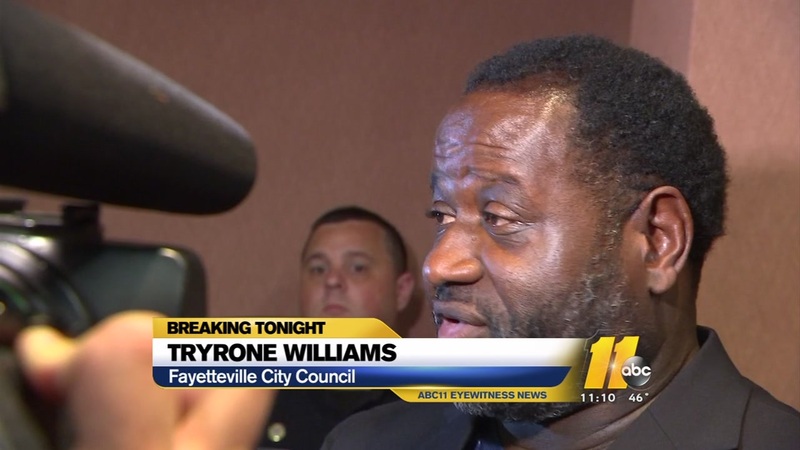 FAYETTEVILLE, NC (WTVD) -- The Fayetteville city council is just steps closer to removing embattled councilman Tyrone Williams. On Wednesday afternoon, the council voted unanimously to draft a resolution to initiate the amotion process. The City of Fayetteville voted Monday to approve a measure to begin the process of legally removing Councilman Tyrone Williams. 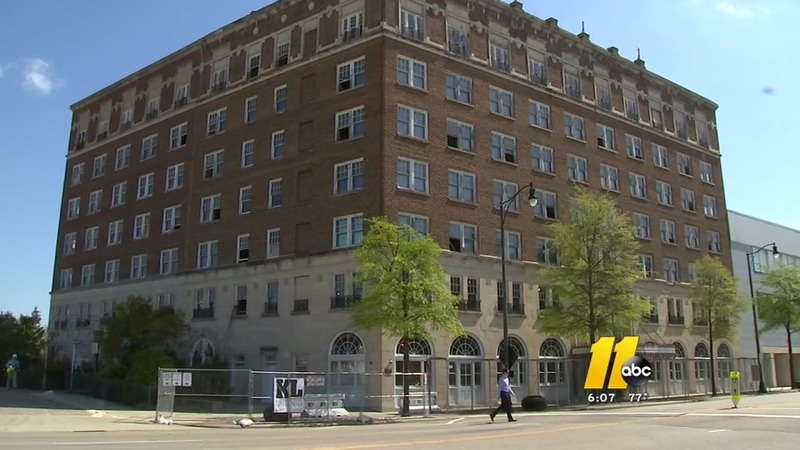 Williams is under investigation after allegedly asking Prince Charles Hotel developer Jordan Jones for $15,000 in exchange for handling a favor with a property's title. Williams has refused to step down. He said Monday night that he has done nothing wrong. On Wednesday, ABC11 asked Fayetteville Mayor Mitch Colvin whether Williams did anything wrong. "That's not for me to decide," Colvin said. "That's what this process does. This tape certainly brought some questions about. I want to make sure he's entitled to his due and fair process like everyone else. As we go through this, it will be a fact-finding mission. Hopefully, we can make a decision that's fair." PCH Partner Jordan Jones has said little regarding the investigation but he sat down with ABC11 in an exclusive interview where he said that despite the shakeup, PCH and the downtown development plans surrounding the stadium are "full steam ahead."